Blowing bubbles has always been an inexpensive and fun outdoor activity for kids. Whether you buy a store brand bubble solution or make a homemade batch, there are so many different ways to make blowing bubbles even more enjoyable for your children. This article will show you several different recipes to make homemade bubbles including colored and scented solutions, a variety of household items to use for bubble wands, fun ideas for bubble contests, how to put your kid in a large bubble, and how to create bubble art. So what are you waiting for? 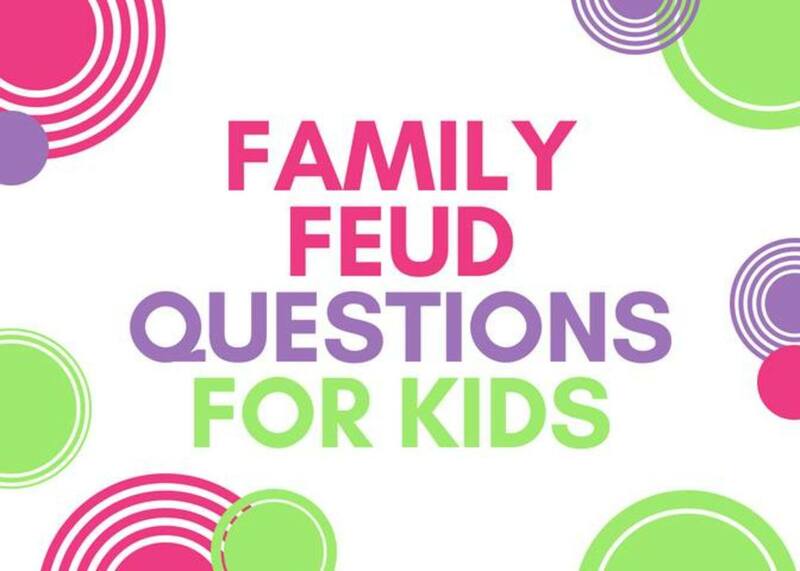 Read further to discover these 5 fun activities to share with your kids. You may also use these substitutes to make homemade bubble solution. Use 2 tablespoons of glycerin in place of the Karo syrup. 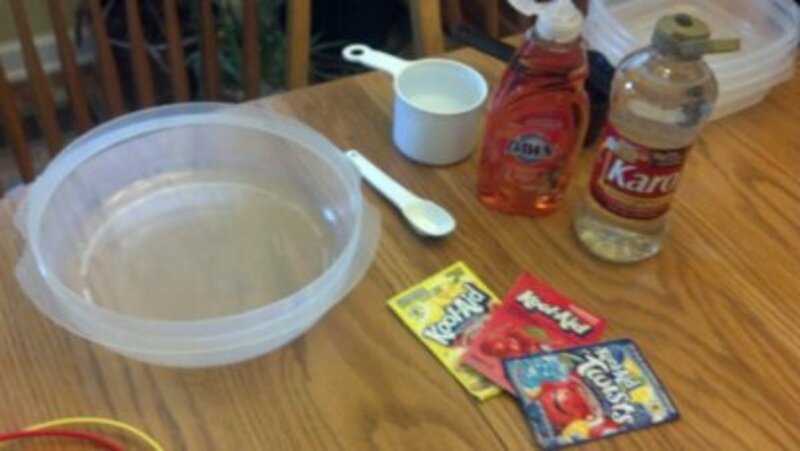 Use food coloring or washable paint in place of the Kool-Aid to create colored bubbles. Use scented oils or baking extracts in place of the Kool-Aid to make scented bubbles. Making homemade bubble solution is super easy and only takes a few ingredients. Get the bubble fun started by letting your children help create the below kid-friendly bubble recipes. For our homemade colored and scented bubble solution, we mixed together the above ingredients in 3 separate containers. We then added a different package/flavor of Kool-Aid to each container to achieve our desired colors - red, blue, and yellow. If needed, add more dishwashing liquid to strengthen the consistency of the bubbles. With any kind of bubble recipe, it is always important to test out the solution to avoid any unwanted stains. It is also a good idea to wear a set of old clothes when playing with bubbles so not to ruin your child's clothing. The next fun activity is to have your kids gather up as many household items as possible that can be used for blowing bubbles. These items don't have to be limited to those plain bubble wands that you get out of a store bought bottle. Get creative and have the kids roam around the house to find kitchen utensils such as cookie cutters or a potato masher. Buy a package of pipe cleaners and have them make different shapes to blow bubbles with. All these different types of household items gives bubble play a whole new level of excitement for little ones. Refer to the table for even more creative ideas for homemade bubble wands. Who can make the longest bubble? Who can make the largest bubble? Who can make the smallest bubble? Who can blow the most bubbles in one breath? If you have several participants and want to give your competitions an Olympic feel, you could hold an awards ceremony after the bubble contests to award homemade medals or ribbons to the first, second, and third place winners of each category. 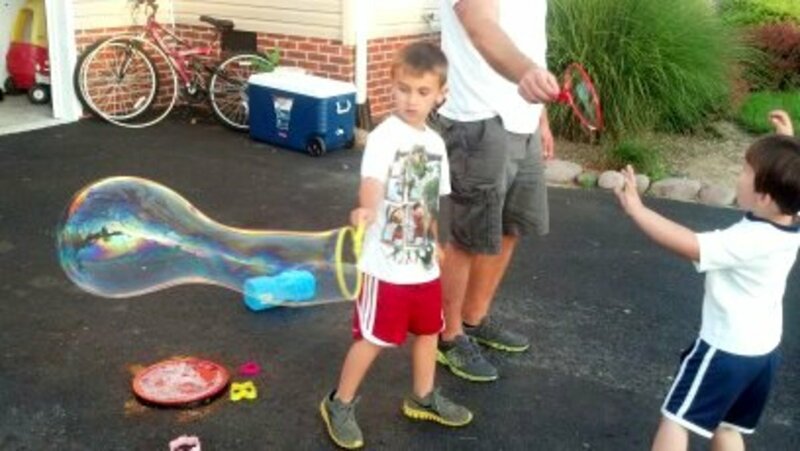 For another fun outdoor activity, try surrounding your child in a bubble. You will need a large container to hold the bubble solution such as a kiddie pool or empty sandbox. Make sure your container is large enough for a hula hoop to fit inside. Below you will find the step-by-step directions for putting your kid in a bubble. Add 1/4 of a bottle of Karo Syrup (approximately 4 oz) into the large container. Add a 14 oz bottle of dishwashing liquid on top of the Karo syrup. Add approximately 2 inches of water to the bottom of the container and mix the ingredients together. Set the hula hoop down in the solution and have your child crouch down in the middle of the hoop. Slowly lift up the hula hoop and watch in amazement as the bubble surrounds your child. Our fifth and final activity for kids is creating beautiful masterpieces from bubble art. Using the colored and scented solution, let your children show their inner artist by blowing colored bubbles onto sheets of paper. 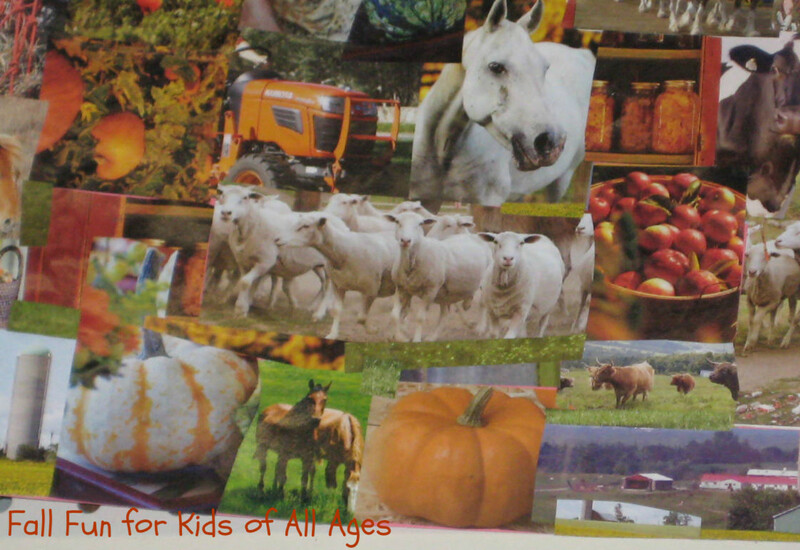 You can place the paper on an easel or simply lay the sheets on a sidewalk or driveway. 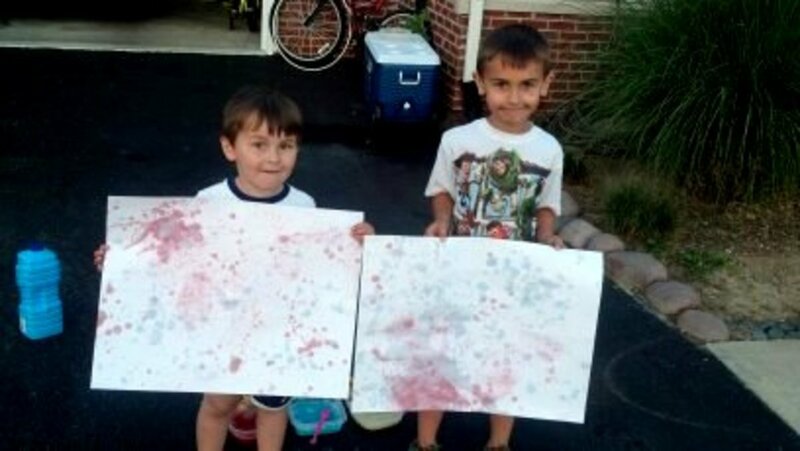 Our boys used several different kinds and sizes of bubble wands for this project to make both large and small bubbles on their sheets of paper. 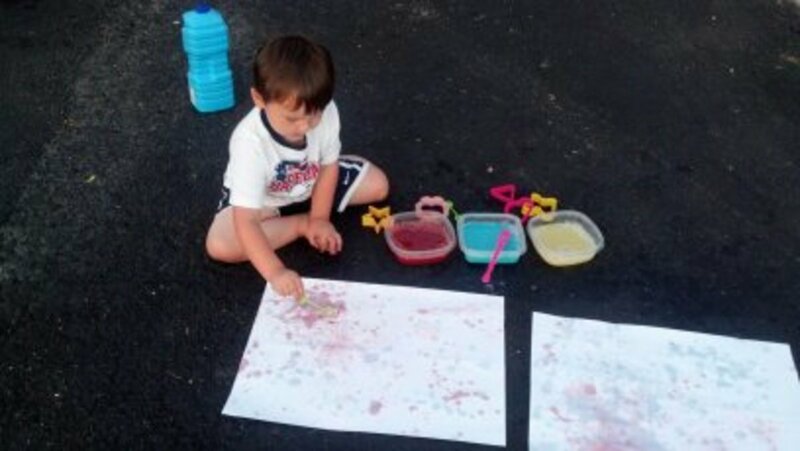 While creating this art project, we learned that our yellow colored bubbles, which was made with lemonade Kool-Aid, did not show up on the white paper. If you run into this problem, try adding a few drops of food coloring to the bubble mixture for a more vibrant color. Which fun activity will you try first? Try out homemade bubble wands. Organize family fun bubble contests. Put my kid in a bubble. 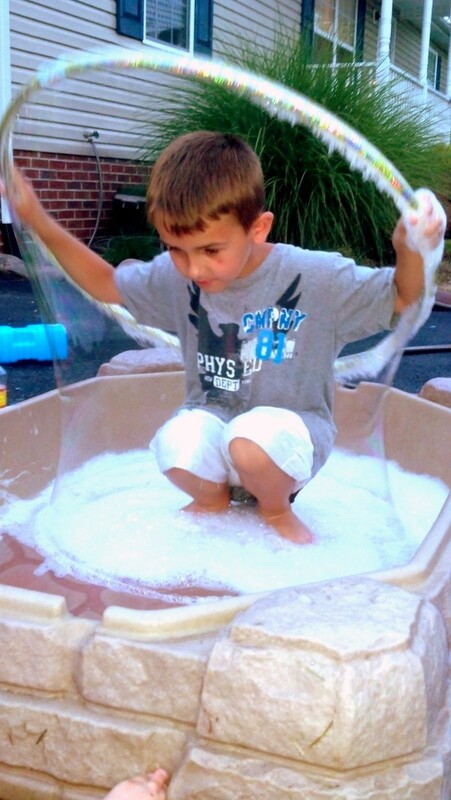 All of the above bubble activities are great ways to keep the kids entertained this summer. 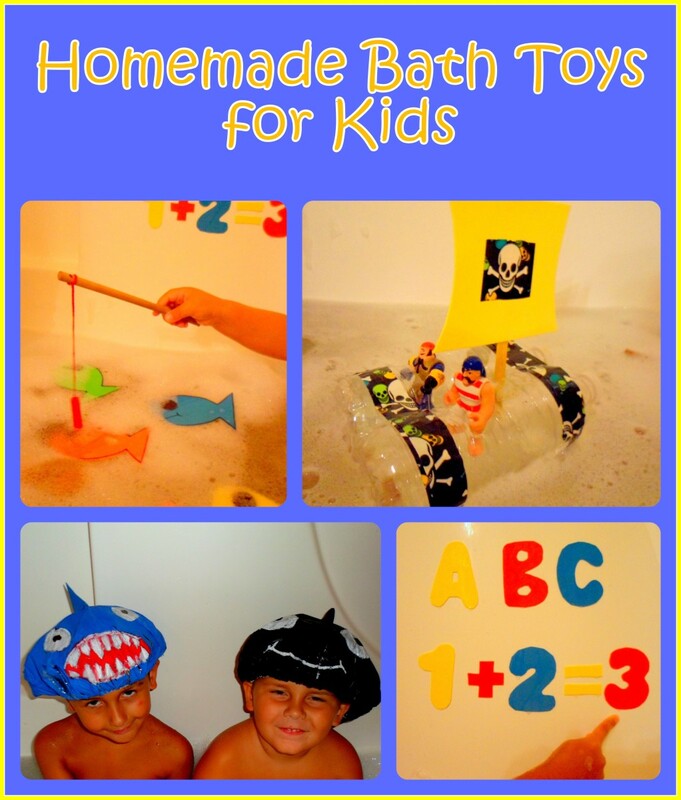 To continue the fun, encourage your children to come up with more ideas on how to have fun with bubbles. Have them make up a new color or scent of bubble solution. See if they can make up their own game that includes the use of bubbles. With a little imagination and creativity, there is no limit on how much fun playing with bubbles can be. I hope you have found some fun bubble activities to share with your children this summer. If you have any questions or comments about any of the projects described above or if you have any additional fun ideas to share, feel free to add these in the comment section below. Thanks so much! 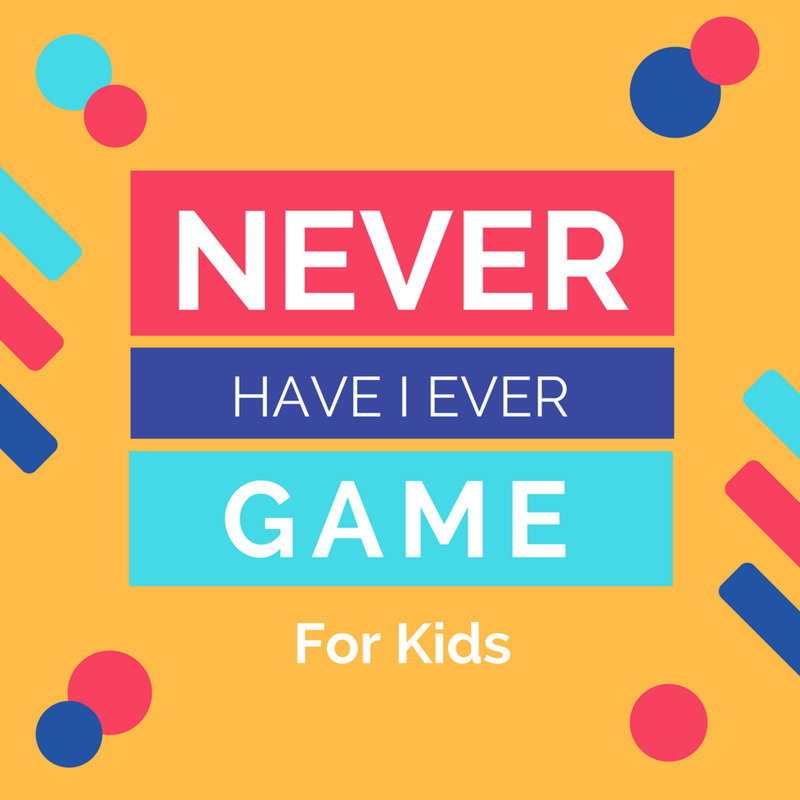 I am always on the lookout for different activities to keep my kids entertained. Appreciate you stopping by! Really fun ideas! A great hub. Thanks so much TeachableMoments! Hope your daughter enjoys being inside a bubble :) Never thought about a toilet paper roll - we will have to try that one next time we break out the bubbles! Appreciate you taking the time to read and comment! Hi website optimization! Happy to hear you found my page through Google and that you enjoyed the article. Appreciate your visit and for bookmarking! 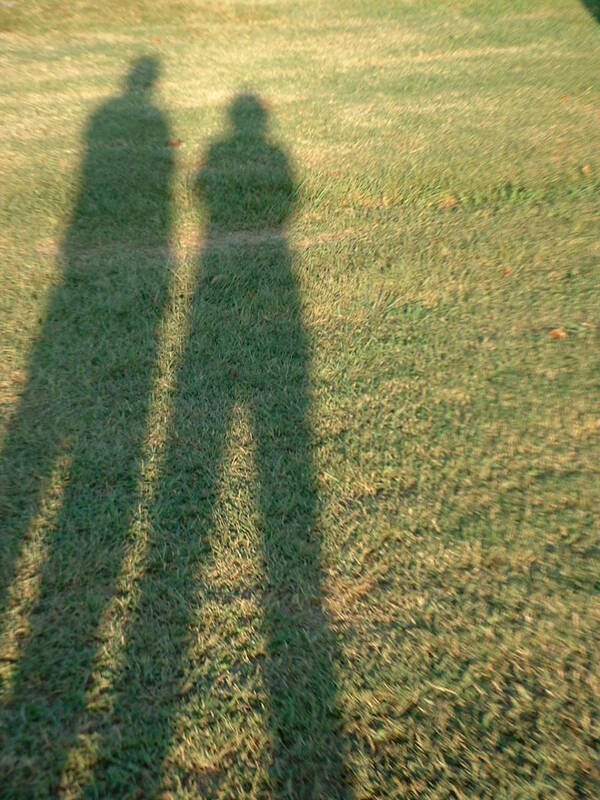 Hello alissaroberts.hubpages.com. I found your web site via Google while looking for a similar matter, your web site got here up. It appears good. I have bookmarked it in my google bookmarks to come back later. Thanks Rebecca! 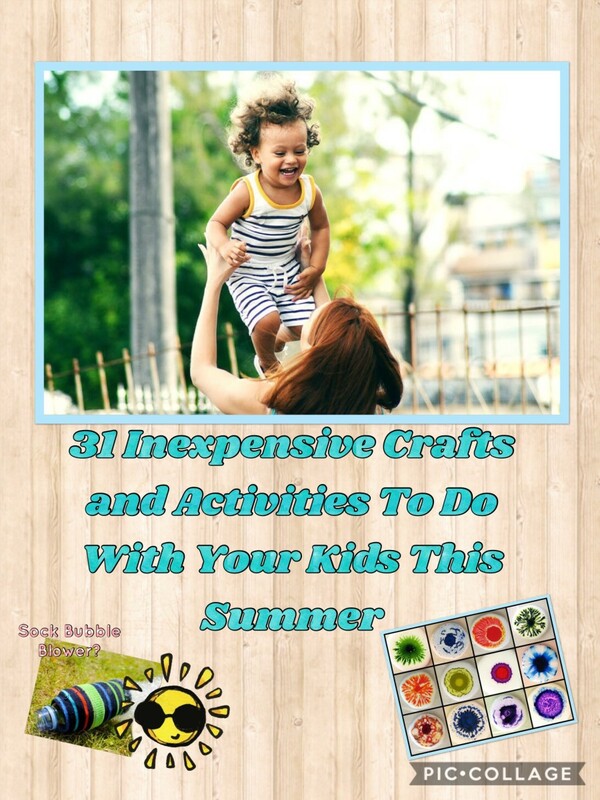 They would be perfect for keeping the kiddos entertained this summer. The kid in a bubble is my favorite too! Appreciate you stopping by and for your sweet comments! Thanks randomcreative! Happy to hear that these ideas will be useful to both parents and teachers :) Appreciate your visit and kind comments! 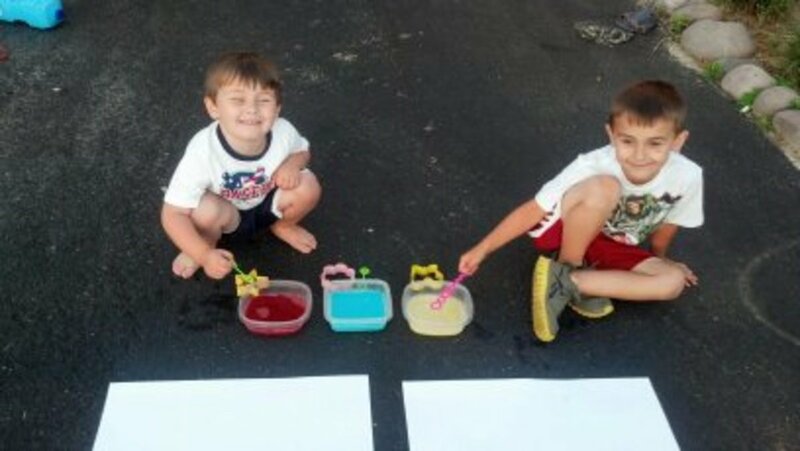 These bubble activities are great for Summer vacation. Love the boy in a bubble!Cute video! This is a great resource for parents and teachers (as well as anyone else who loves bubbles!). Thanks for all of the detailed tips and great photos! Hi partypail! I love bubbles too! Now if they could only come up with a non-sticky version I would be so happy :)But I will admit that the stickiness was definitely worth it because the boys had the best time with all these activities. Thanks so much for stopping by and leaving your kind comments! Thanks so much ishwaryaa22! We had the best time with all these activities. 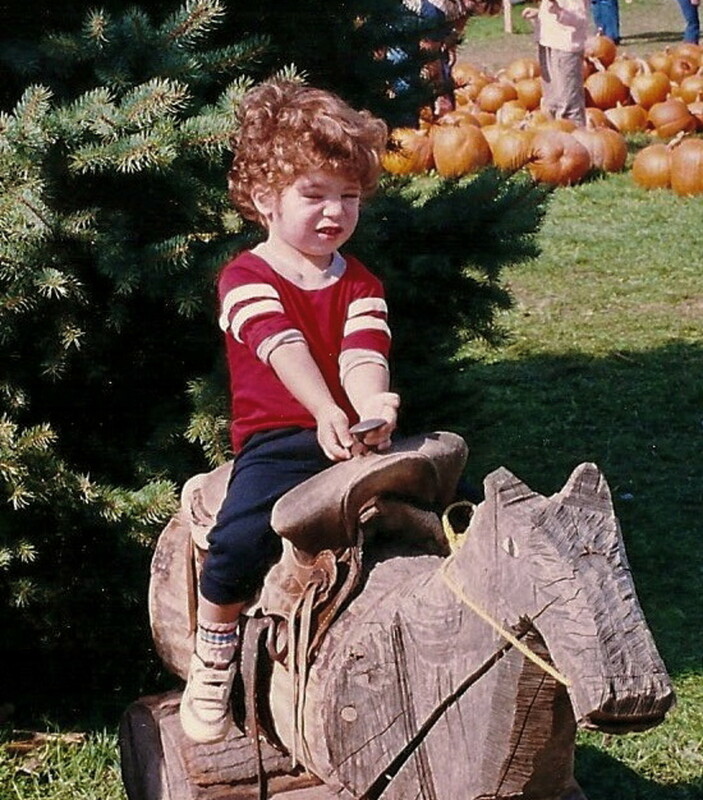 I really appreciate your sweet comments, for all the votes, and for sharing! Hi Shesabutterfly! Happy to hear you will be using these in the classroom! They were all so much fun. Hope the kids love them! Thanks so much for the vote up and for sharing! I love that you are going to try that one out Kelley! My boys thought being in a bubble was so cool. Hope your kids enjoy it as much as mine did! Thanks so much for stopping by and for the votes! Awesome your niece will love the kid in a bubble Global-Chica! That one was definitely my favorite activity. Thanks so much for stopping by and commenting! I'm not ashamed to admit it, I love bubbles! These are all awesome ideas for summer fun and it's great you provided the recipes for bubble solution. Great hub! Thanks teaches12345! These activities were a lot of fun. I love any kind of outdoor activities because it just keeps my house so much cleaner lol :) Appreciate your continued support and for always leaving the sweetest comments! A cute and wonderful hub! I blew bubbles through a straw as a kid. These bubble games are advanced and creative. The preparation of homemade solutions, bubble wand options, bubble 'Olympic' games, bubble artwork and the most amazing of all - putting a kid in the bubble are well explained! A fun read! Well-done! Thanks for SHARING. Useful, Awesome and Interesting. Voted up and Socially Shared. Thanks for some great bubble ideas! The children I work with absolutely love bubbes and now I have some new great ideas I can use in the classroom. Great hub! Voted up and shared. These are really great ideas! I want to try putting my 5 year old niece in a bubble - she'd love it! Can't wait to try out your fun kid ideas. You sure know how to make summer fun! I love your kid photos as they enjoy the bubble activities. Great art work! Thanks for sharing this fun idea.